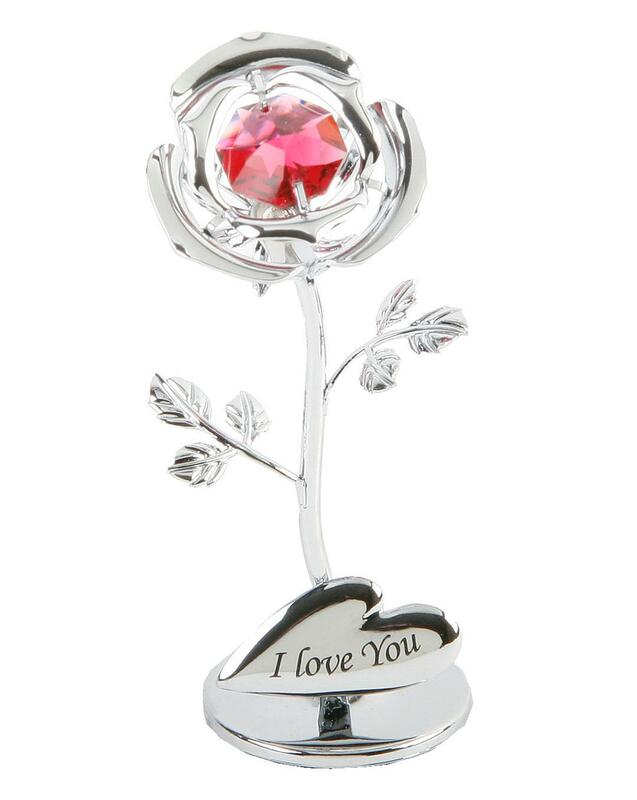 Chrome plated Crystocraft rose ornament with an 'I love you' sentimental plaque. This piece is embellished with a large, red Swarovski crystal element. Gift boxed.